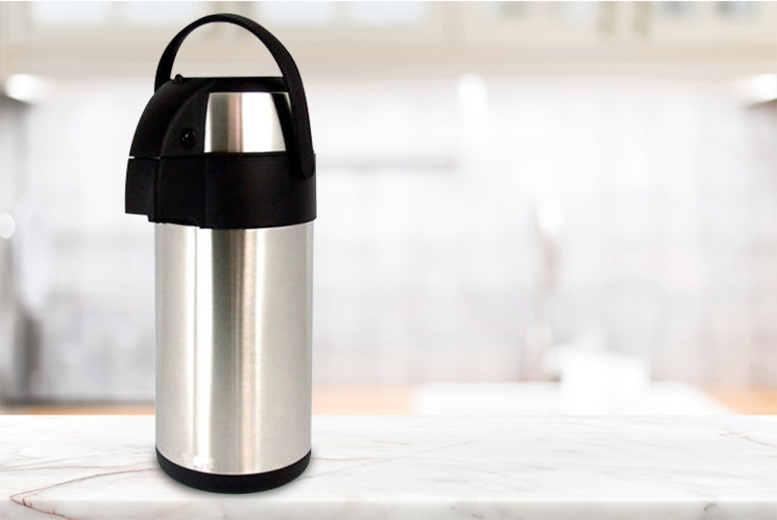 Get a 3L Airpot tea and coffee travel flask! Made with a tough stainless steel outer casting. Keeps drinks hot or cold for hours on end! With a push-button release. Perfect for keeping hydrated whilst on the go!